Giving your child the gift of enjoying the act of reading has got to be one of the greatest things a parent can give. 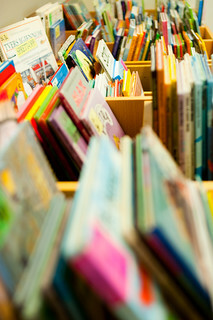 Assuming we satisfy our child’s basic needs, then reading is a gift that just keep on giving. But as a dad of a bilingual child it also provides a vital opportunity for exposure to the minority language. In our case the constant reading of books every night for almost three years has given our son, Mr. T, the chance to learn vocabulary he would never have learnt if he were only listening to me talk. He has also been able to pick up aspects of the rhythm of the language that I am convinced have helped him to also enjoy music. The easiest thing to have done would have been to give up on books and let him follow his own path. But then he would have missed out on all the current and future advantages. To get around his moods and phases we have had to develop some strategies for encouraging him to read or just get through the last negative phase of his life. When Mr. T hasn’t been interested in reading, I have kept on doing reading aloud anyway. Sometimes he has continued to ignore me and has played with his cars instead. At other times he has relented, perhaps out of curiosity, and come over and sat on my lap to finish off the book. Whatever his reaction, I think it is important that he sees I am not going to give up and that he is free to come and join me is he wishes. My wife and I both treat our books very well. We are not the obsessive kind who read without breaking the spine of a book, but by the time we are finished, you could easily read it again without worrying about it falling apart or finding that some pages are missing. 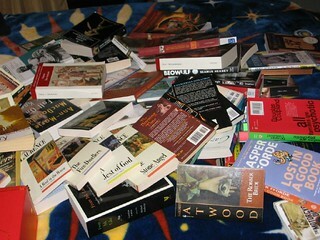 We both agreed, though, that for the first few years at least, we had to treat books as if they were toys for our son. This meant we wouldn’t get upset if he started to bite them, or if the pages were bent or ripped out, or if Mr. T decided that the colours were all wrong and so coloured everything blue. In order to develop a love for books a child has to interact with them on their own terms, and not according to what an adult thinks is appropriate behaviour. 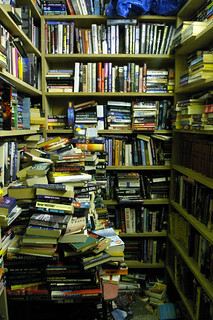 By deciding that books were toys we were then free to keep the books in a position where Mr. T could easily get them, without asking us for permission. This has meant that most of his books are stored under his bed, along with other toys. The only problem that we have is that he now has too many books to fit under his bed, so some are stored up on a shelf, but we still encourage him to select books to go under the bed every so often when we feel he is maybe getting bored of what he has access to at the moment. Although I have my own favourite books that I like to read to my son, it is up to him what we are going to read together. I like to try to guide him in a certain direction, but if he prefers to read Super Submarines for the 21st night in a row, then that is what he gets. But freedom of choice is more than this. I like to take him to the bookshop with me so that he is actively involved in choosing which books to buy. I am convinced that by him taking part in the selection of the book he is more likely to want to read it when we get home that if he was only ever given books. I am very happy to say that if we ask him if he wants to go to the bookshop his eyes light up and we can easily spend a whole afternoon looking at different stuff for him to get. It can be very difficult to find the time, but I believe it is vital that children see their parents reading. I can vividly remember watching TV as a kid on the sofa with my mum in the armchair reading Catherine Cookson. I couldn’t quite figure out how a book could be better than watching tele, but over time I realised that there was a whole lot more in books. 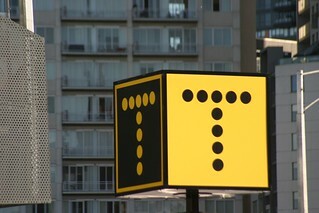 Recently I have started to pretend to read when Mr. T is happily playing on his own with his cars or a jigsaw. I say ‘pretend’ because although I love books, I love watching him play even more, but I am hoping he will see me with a book enjoying myself and he will associate ‘play’ and ‘fun’ with books as much as cars and jigsaws. Lots of other people have written with ideas and strategies for encouraging reading in both monolingual and multilingual kids. Some of the best that I have come across include the following. If you know of any others, please leave a comment below. Bilingual Monkeys is a wonderful site and is chock full of brilliant ideas for developing reading skills. 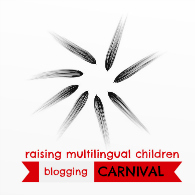 Multilingual Families Raising Bilingual Children has a great series of posts looking at pretty much all of the reasons why reading is so important for bilingual kids. Discovering the World Through My Son’s Eyes shows how encouraging reading doesn’t have to be just about books. Dad’s the Way I Like It writes about how important your local library can be. 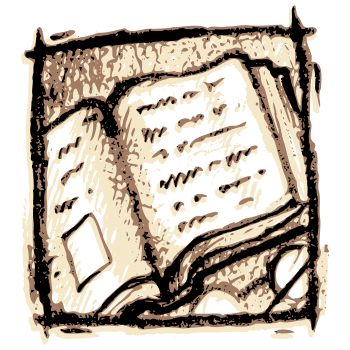 The Piri-Piri Lexicon discusses some of the advantages and disadvantages of reading bilingual books. And if you need another reason, it’s part of the meaning of life. When I first started writing this blog, I posted a number of reviews of books that we were reading to our son. I had envisaged this being a regular thing, perhaps every couple of weeks or so. I soon stopped because, although we have a lot of books in both Portuguese and English, we accidentally developed a core of about 15 books or so that we would read again and again. These were books that we as parents lie, but also that Mr. T, our son, also liked. 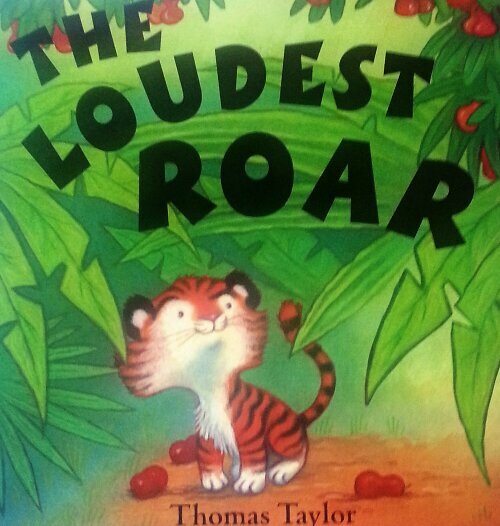 It is no secret how important reading aloud to your children is. We have been reading to Mr. T ever since he was born and it is one of the best parts of the day. Even without the educational benefits that come with reading to our son I would be loath to give up this exercise. Recently, however, we have been seeing some of the fruits of our pleasurable labour in his language as well as just finding the time to bond. One of the joys of the last few weeks has been to see our son getting a book out from under the bed and reading it. Obviously, at 2 and a half he can’t actually read, but he does do a good impression of it. He sits up in bed with his legs crossed and opens the book at the first page. He then babbles away to himself about what he can see in the picture before turning the page and doing the same thing again. I love to see this. Apart from it being funny to watch it also means, hopefully, that we are well on the way to encouraging Mr. T to see books as a natural thing to use in his free time, and not just something that has to be picked up because you are told to. He has learnt to recognise the letter ‘T’ and he can even write it now thanks his vovô showing him how to do it on a blackboard. Whenever he sees the letter ‘T’ he shouts it out with wild abandon and repeats it just to make sure that we saw it as well. He has started to recognise some of the other letters in his name as well as the letter ‘A’. We are not trying to push him to read letters as I know there are grave doubts about trying to do this at such a young age. However, he is very interested in letters so we encourage him to do it so long as he wants to. One of the main reasons to read aloud to a child is to help their language learning, and this is perhaps especially important for a bilingual child as it is a great opportunity to provide further exposure in a minority language. One of the most favorite books in our house is ‘The Gruffalo‘. It is so beloved by all of us that we have been reading since day 1. A couple of weeks ago, as my wife was reading it to him before bedtime, he started to say some of the words at the same time as my wife. Over the next couple of days we encouraged him to do this more and now he can say practically all of the end rhyme words throughout the story. He has also started to do this with other books that he has heard practically all his life. At the moment he only really uses these words when the book is being read, not in his every day life. But I am sure that this shows he is aware of more words than he is using and that pretty soon he is going to be ready to start producing even more vocabulary. I am aware of some disagreements over how to teach bilingual children to read. Some people say you should teach them to read one language at a time, others that you can teach both together. I’d love to hear people’s experiences in the comments sections below. When we arrived in the UK for our recent holiday Nana had been out shopping to get her favourite (and only) grandchild some presents to make him feel at home. One of the things she bought was a collection of 10 books called Amazing Machines by Tony Mitton and Ant Parker. She knew that Thomas has a thing about cars and busses and lorries and stuff, so she was fairly certain she was on to a winner. 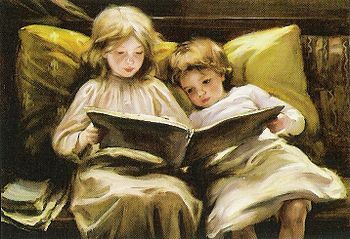 She could not have possibly known how popular the books have become, though, to the extent that they are now among the favourite books in our house. There isn’t a story in the books, instead the writer tries to explain what the different machines do as well as showing the differences between for examples a diesel train and a steam engine. And all of this s done through rhymes which have a great, catchy but simple rhythm. Occasionally the rhymes are a bit forced, but that is probably to be expected when you are limiting yourself to this extent. At the moment I am reading them aloud, but there is enough in these books that I can see them being read by a kid of 5 or 6 on their own. 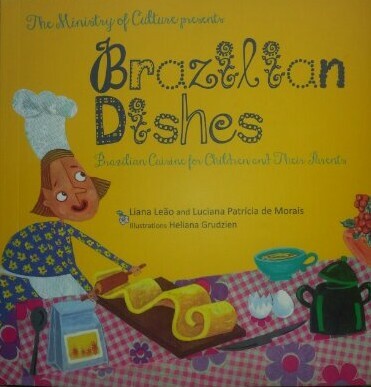 All of the books are illustrated with bold pictures and vivid colours. There is a collection of animals that drive the trucks, put out the fires and fly the rockets. There is enough going on in each of the pictures to be able to ask questions about them, for example ‘who’s driving the red tractor?’ or ‘where’s the sheep?’ but they aren’t too busy to be a distraction. The last page of each book has a mini picture dictionary with some of the items introduced in the book and a brief description of what they are used for. The books also come with a CD with the stories read aloud, but I haven’t used this yet. 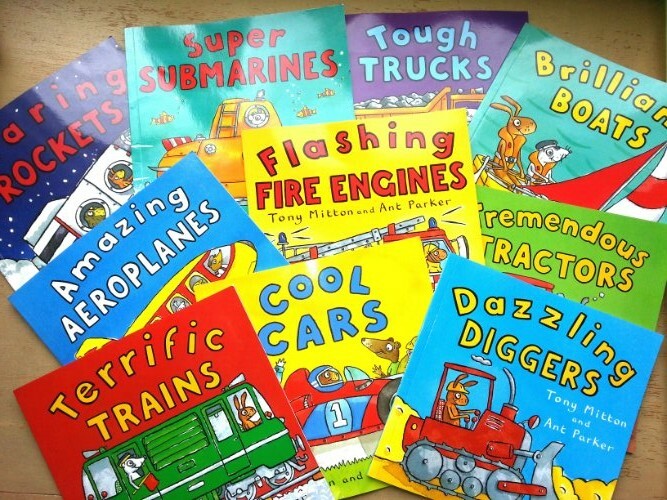 The 10 titles are Terrific Trains, Dazzling Diggers, Cool Cars, Tremendous Tractors, Tough Trucks, Super Submarines, Roaring Rockets, Brilliant Boats, Flashing Fire Engines and Amazing Aeroplanes. At the moment our favourites are the ones about the fire engines, the trains and the tractors. If you have a kid who is interested in machines and cars I cannot think of a better set of books to get them. Amazing Machines by Tony Mitton and Ant Parker. Published by MacMillan Books. I didn’t read this book when I was a kid. In fact I had never even heard about it until the film came out. There was quite a bit of hype around the film with a number of people saying they had loved it when they were younger so I got the film on DVD. I am not sure if I was more disappointed or confused. I couldn’t quite see the point of the film, nor why it might have been a children’s classic. No matter. When Thomas was born it was one of the books I decided to get for him because if so many people thought it had been so influential in their young lives then maybe the problem was with the film, not the book. Well, I was pretty wrong about that. The book tells the story of a young boy who is sent to his bedroom for answering back to his mother. 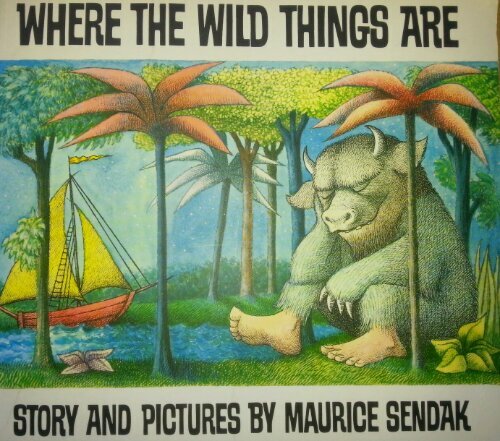 Once in his room his imagination takes over and he travels off to the place where the wild things live. After while he gets bored with this place and then comes back to real life where his dinner is waiting for him. The text is very short, giving just the minimum information and allowing the pictures and your own imagination to do the rest of the work. I didn’t get the fascination with the book. I thought it was ok, but that was about it. I have tried reading it to Thomas, but he never picks it as the one he wants. When I show it to him he shakes his head forlornly and says ‘noooo’. This might be because I wasn’t enthusiastic about it in the first place and so I never transmitted any positive energy about it to Thomas. Or maybe Thomas is too young to know about answering back to his parents and then letting his imagination go wild. Or it might just be that he doesn’t get it as well. When I was kid the best writers, for me anyway, were Enid Blyton and Roald Dahl. Roald Dahl is still up there in my imaginary Top 10 List of favourite writers ever, but I don’t think I’ll even bother introducing Thomas to Enid Blyton. Instead, I am wondering if Julia Donaldson will enter my son’s future list of all time great writers; we certainly have enough of her books around the house to give him a push in that direction. The Gruffalo is such a famous book now that there isn’t much more that I can say that hasn’t been said by a million writers far better than me. Instead, I am going to talk about its role so far in Thomas’ short life. My first encounter with the story was through the BBC animated film of the book that stars Robbie Coltrane and Helena Bonham Carter, among other great actors. It is a wonderful short film, full of charm and wit as well as being beautifully and lovingly produced. The only surprise is that it didn’t win the Oscar for that year. (The Lost Thing won instead. I mean, it’s cool and deep and meaningful and everything. But better than The Gruffalo? But then again, what does Oscar know about anything? He also rewarded Titanic with 145 times and it was one of the worst films ever). When we found out my wife was pregnant, one of the first things we got was a board version of the book which is suitable for the many tests a baby can put a book through. It was one of the first books I ever read to a Thomas; I even read it to him before he was actually born. I love using different voices for the different characters, including a Cockney fox, a snake who hisses all of the letter ‘s’ sounds and an owl who hoots everything. 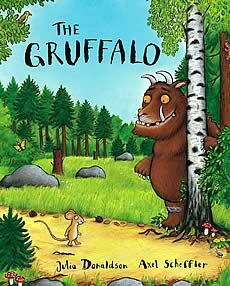 My favourite, though is the Gruffalo himself, although if I have to read it too often his gravelly voice kills my throat. Both my wife and myself have now read the book so often that we almost don’t need the book anymore. Thomas still loves it and the wonderful animation from Alex Scheffler. Whenever he see the Gruffalo tries to imitate my growl and always wants me to rush to the pages with the big hairy monster on them. He now has the sequel book and film, The Gruffalo’s Child (he got a bit scared by the film so we have only seen it once so far), as well as Gruffalo pyjamas and a wooly Gruffalo hat. We have another version of the book which is bigger but not a lot more delicate. This one is kept on a high shelf so that he can’t destroy it, but the board book is kept down on ground level and happily shows signs of being well-loved. We have a lot of other books by Julia Donaldson, which I hope to write about later. If I had to recommend just one book for any new parents, though, it would be this one (closely followed by Dear Zoo). Dear Zoo: curiositycreates.co.uk (I got the inspiration to write about what a book means to my family, rather than the book itself, from this site).